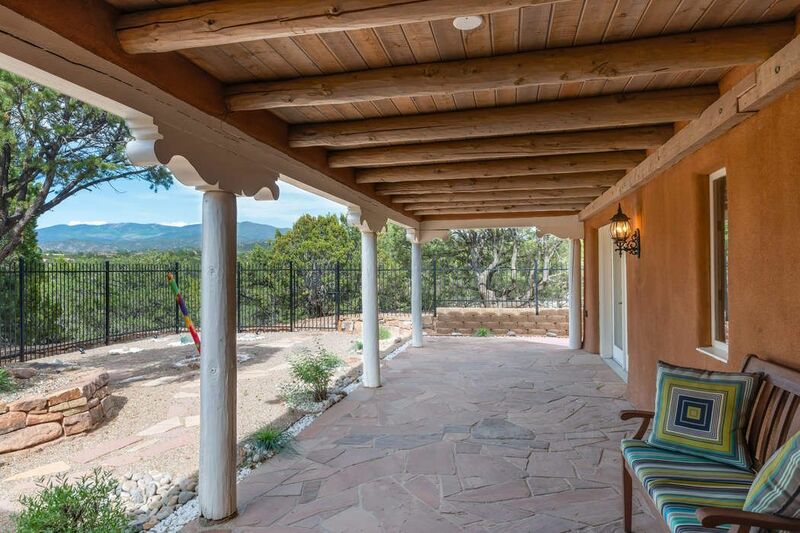 319 Calle Estado, Santa Fe, NM 87501 | Sotheby's International Realty, Inc. 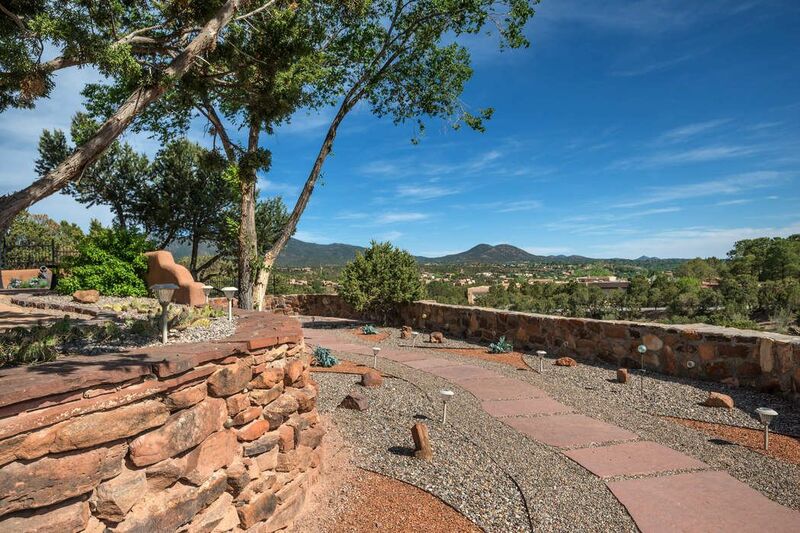 The serene portal has stunning Sangre views! 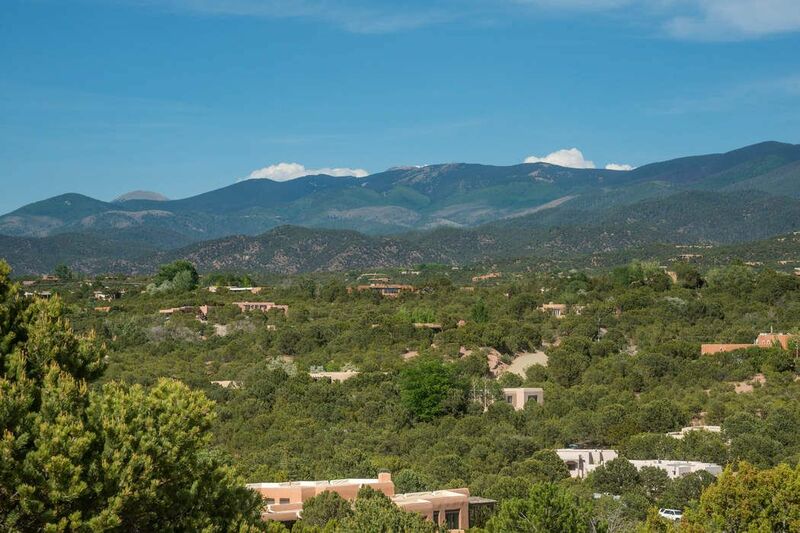 BIG Sangre views! 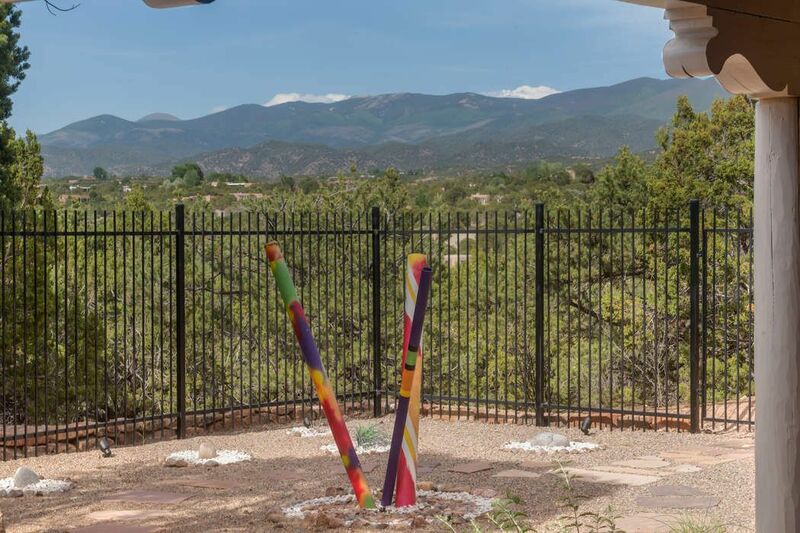 Get a sculpture you like! 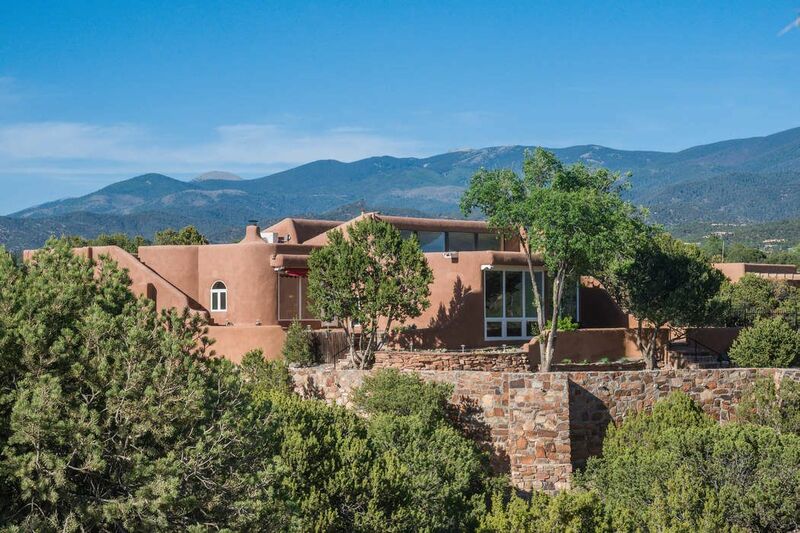 The Sangres out your door! 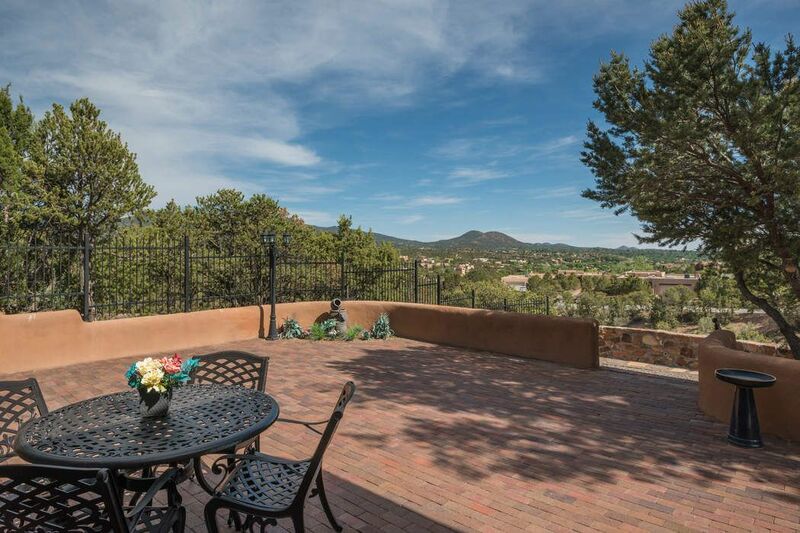 Even the dining room enjoys the views! 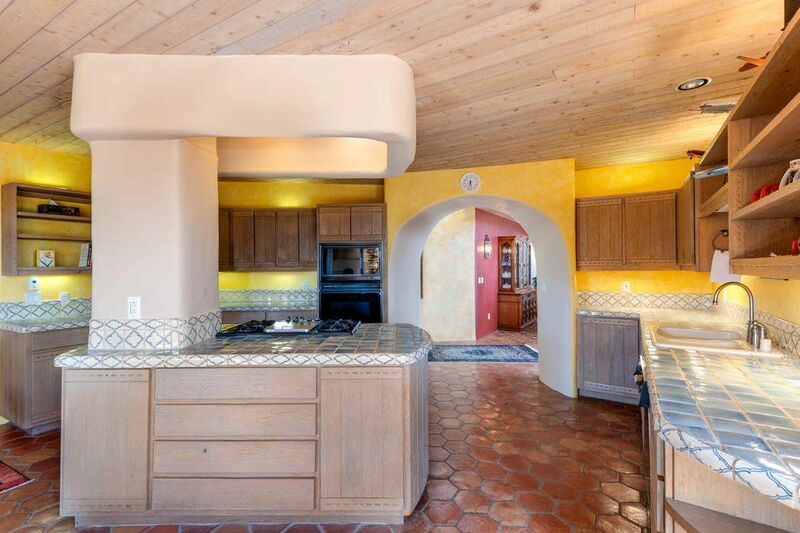 Wide open spaces are great for entertaining! 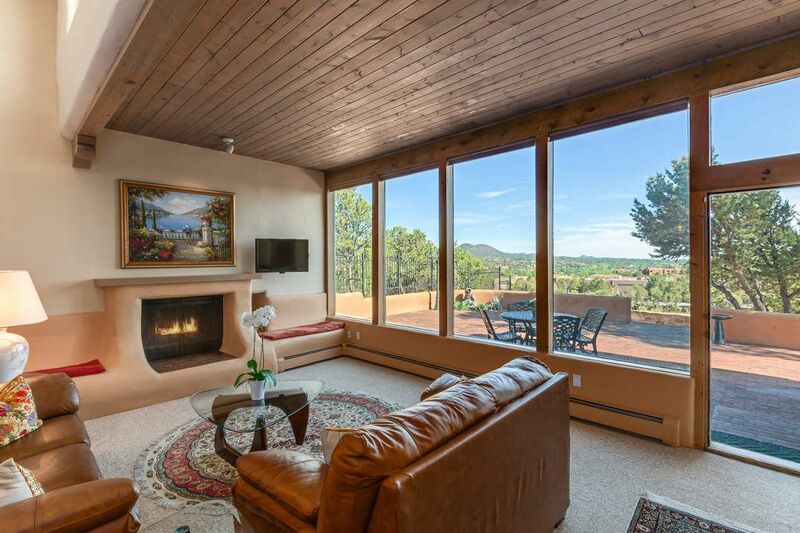 2nd Master looks out over the southern view with Sun & Moon mountains and the city lights! 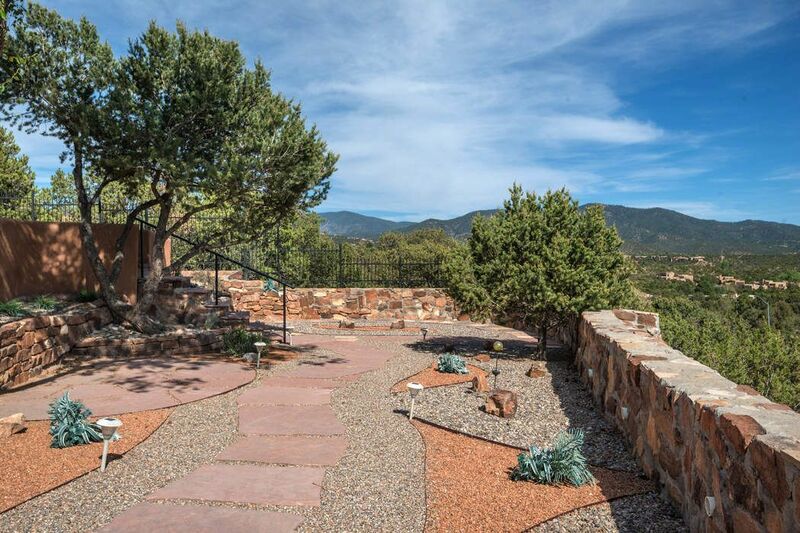 The walking path is a beautiful way to get great exercise year round! 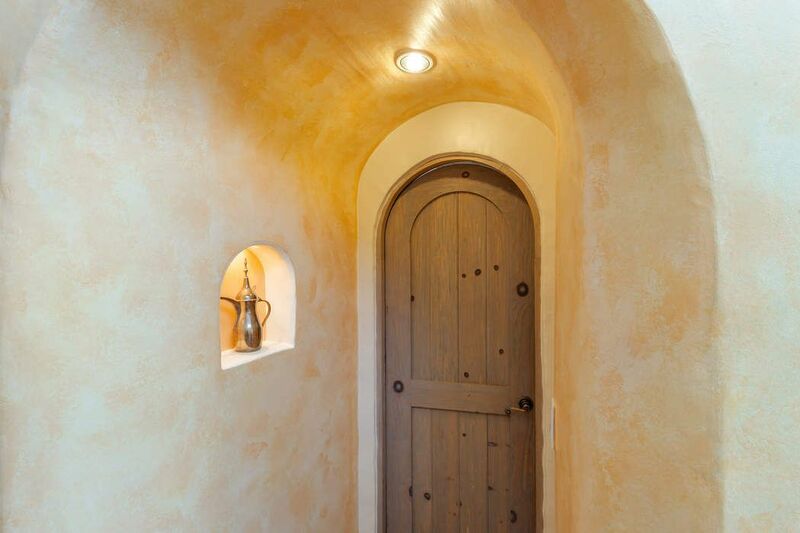 The side of the house...looks like Italy! 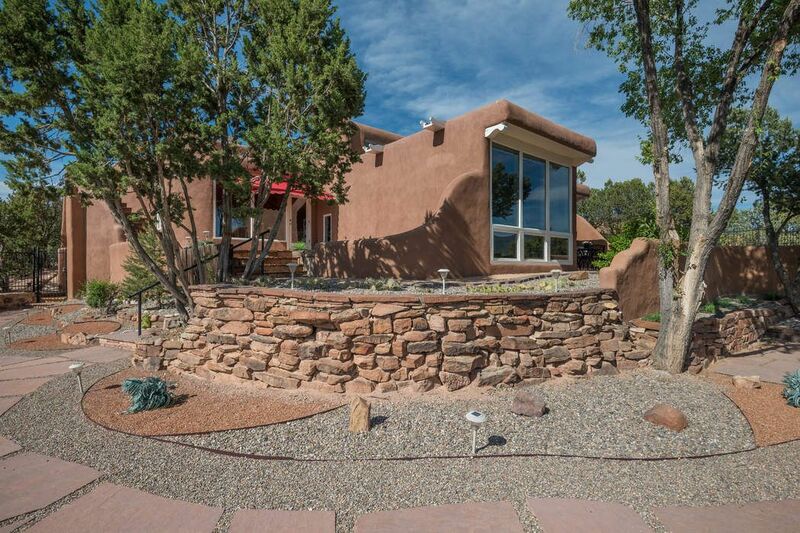 A view from the road...pretty house, and established landscaping. 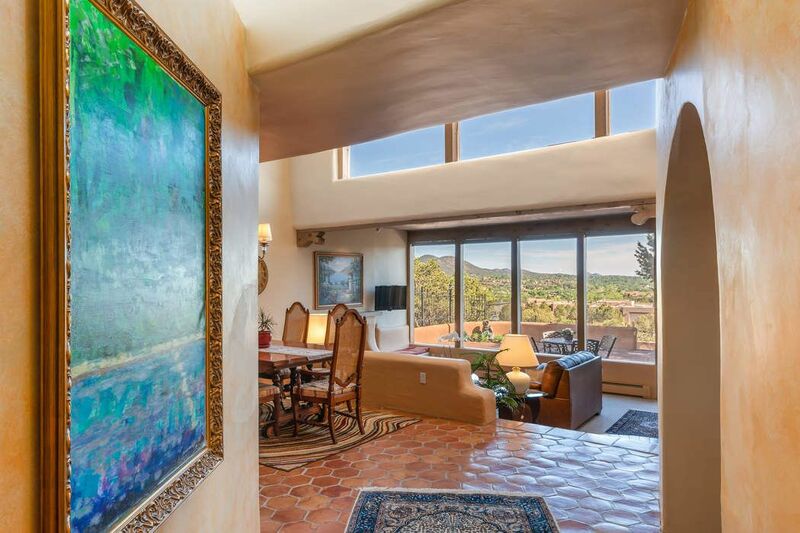 Everytime you walk down the hall, you walk into the view! 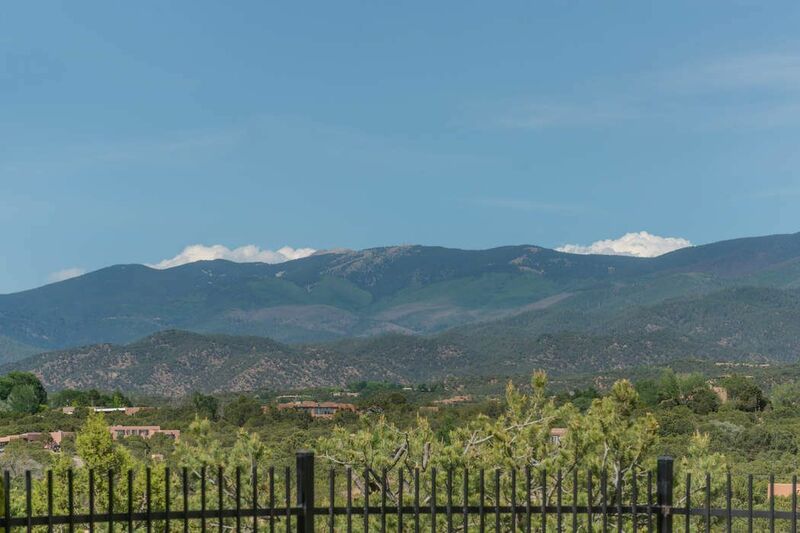 Drive up to plenty of parking! 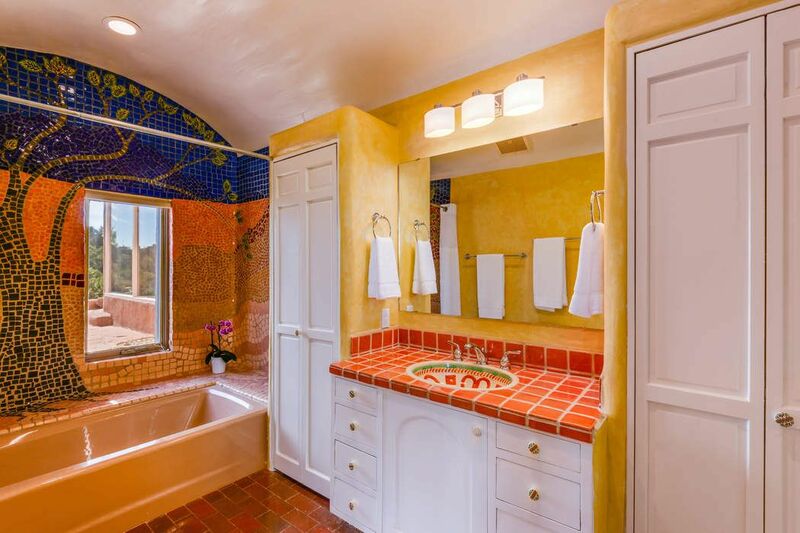 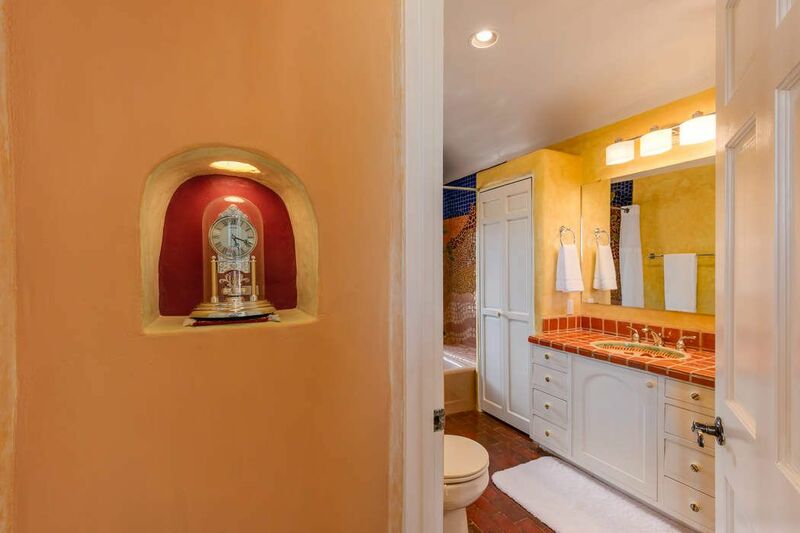 Artist Ann Hosfeld's mosaic bathroom! 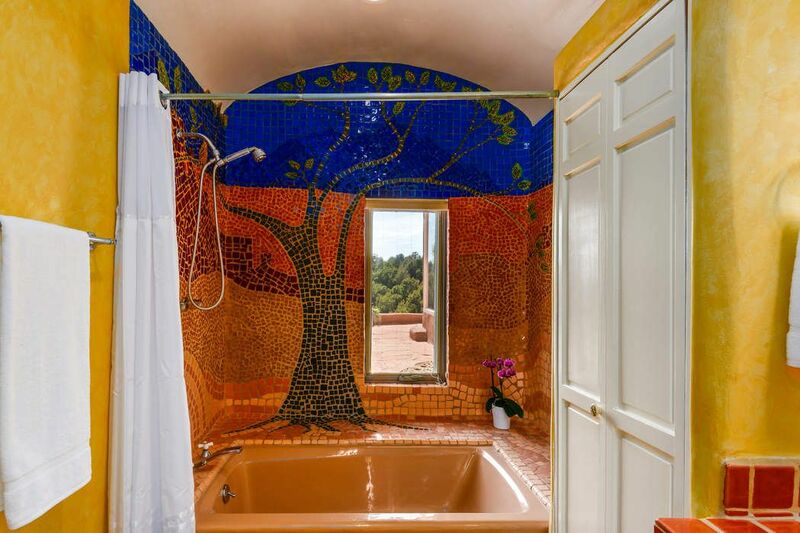 So fabulous! 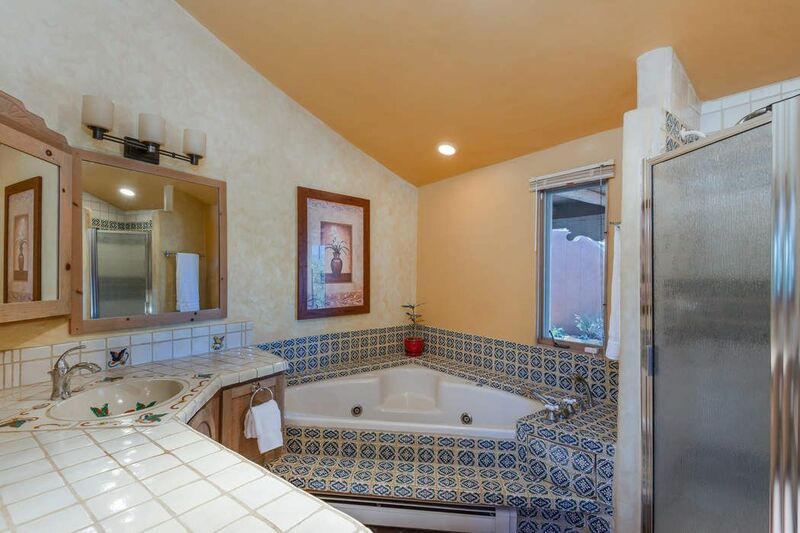 $750,000 2 Bedrooms2 Full Baths2,292 sq. 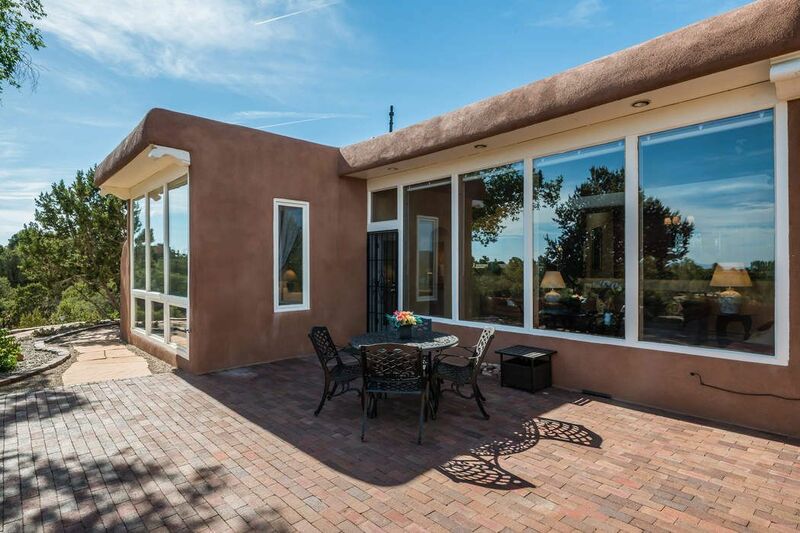 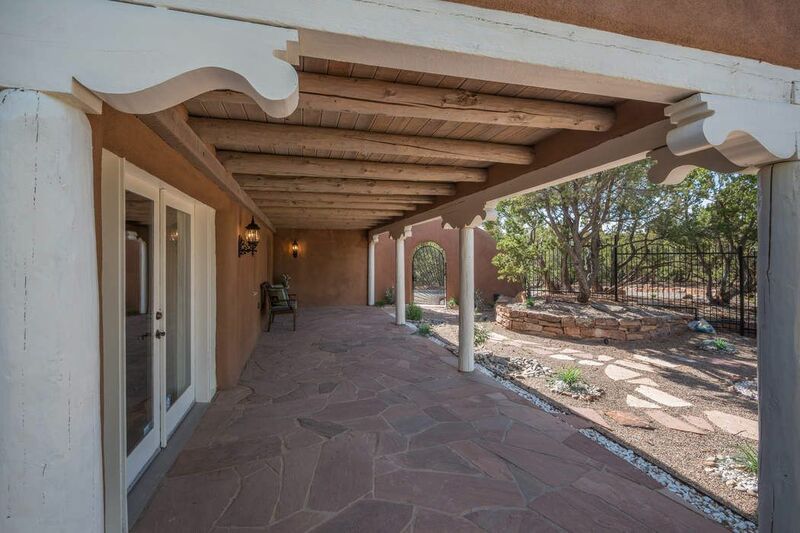 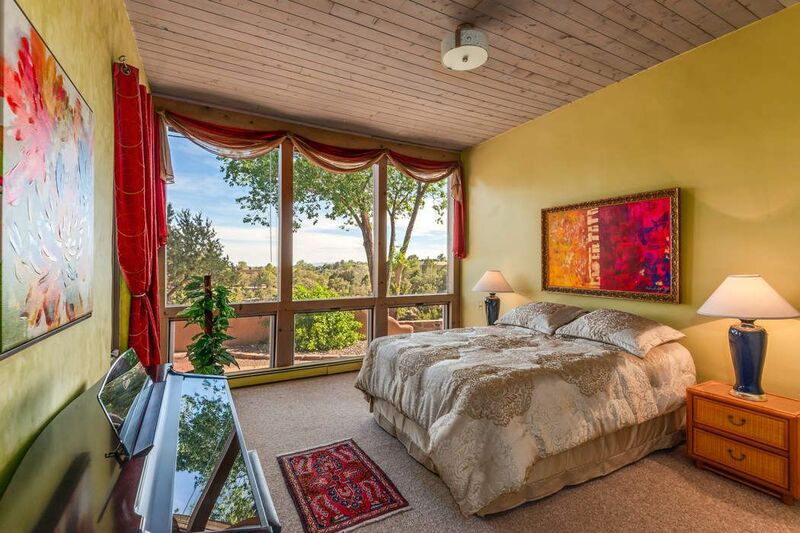 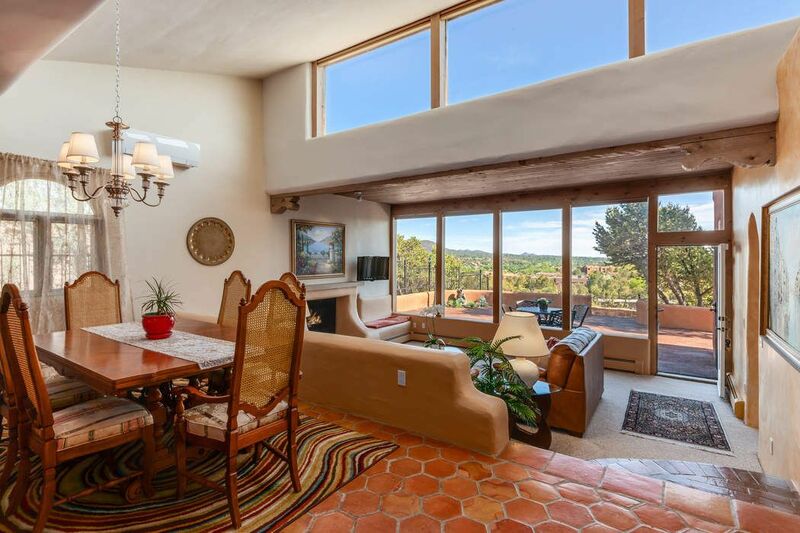 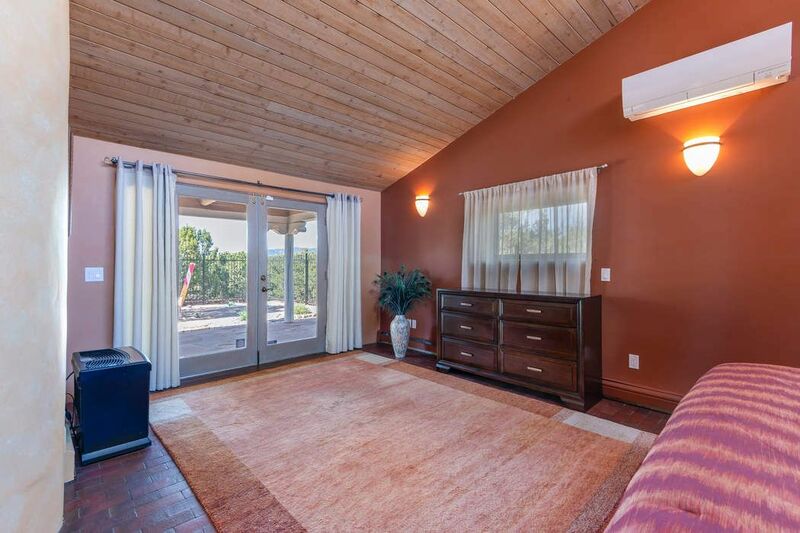 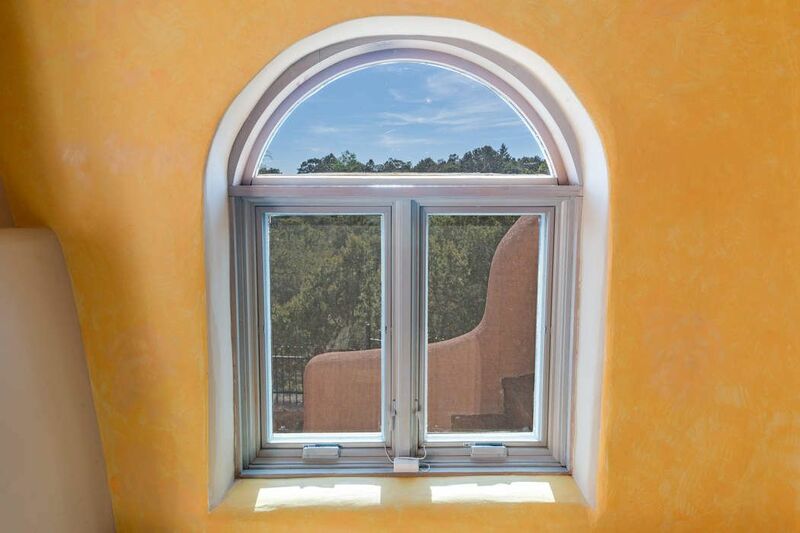 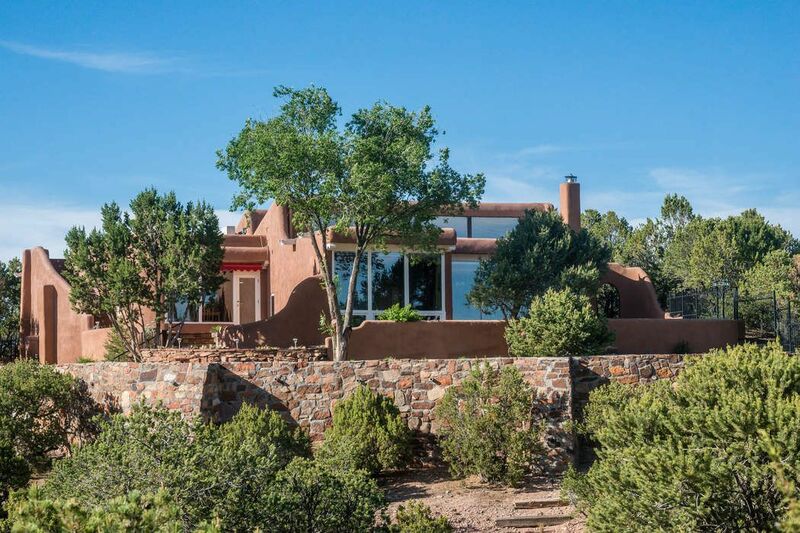 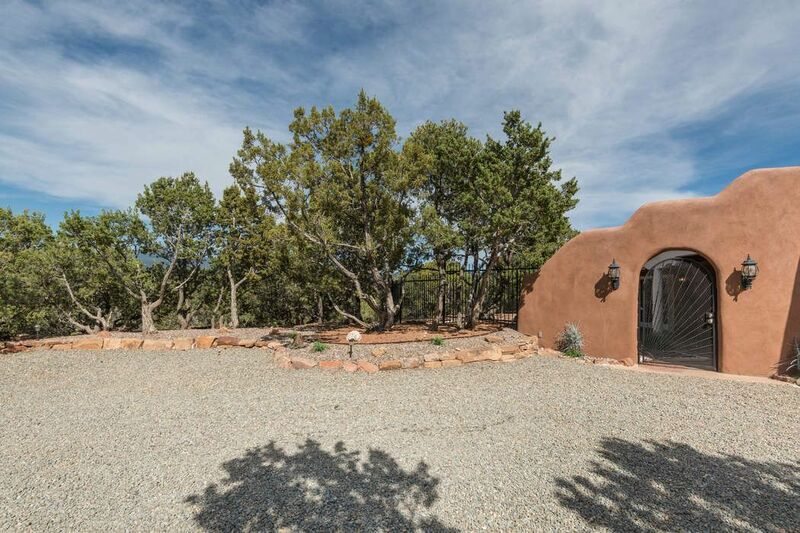 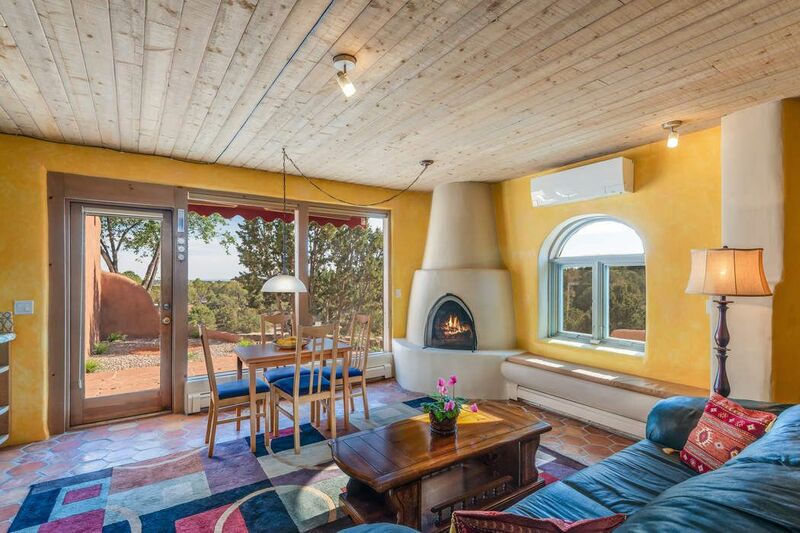 ft.
Nestled on a ridgetop caddy corner to the Governor’s Mansion, this classic Santa Fe style mini-estate enjoys sweeping views from the Sangre de Cristo mountains across the foothills and looking over the city lights of downtown Santa Fe. 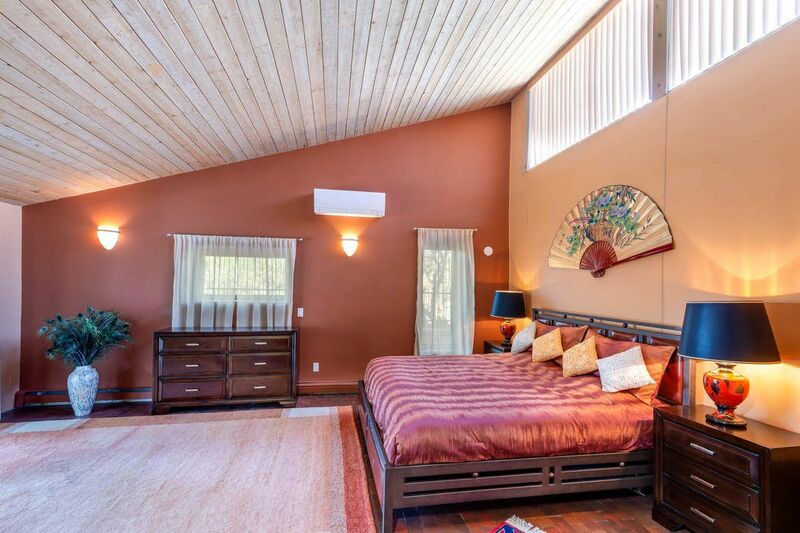 There are two lovely master suites well separated, a Great Room kitchen, cozy office, 2 car garage, and established, on an acre of easy care landscaping with portals, patios, and a walking garden. 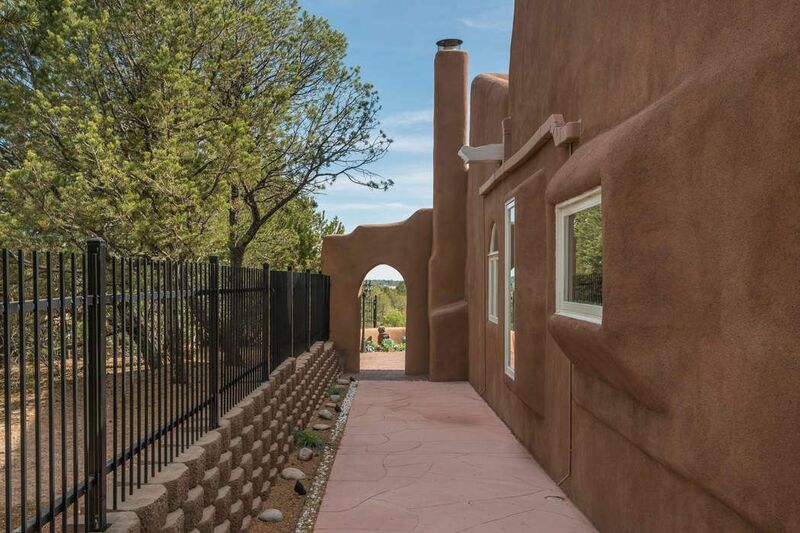 It's a quick stroll to the Plaza, so private you really don't need window coverings, and a comfortable floor plan for everyday living, and for entertaining...inside and out! 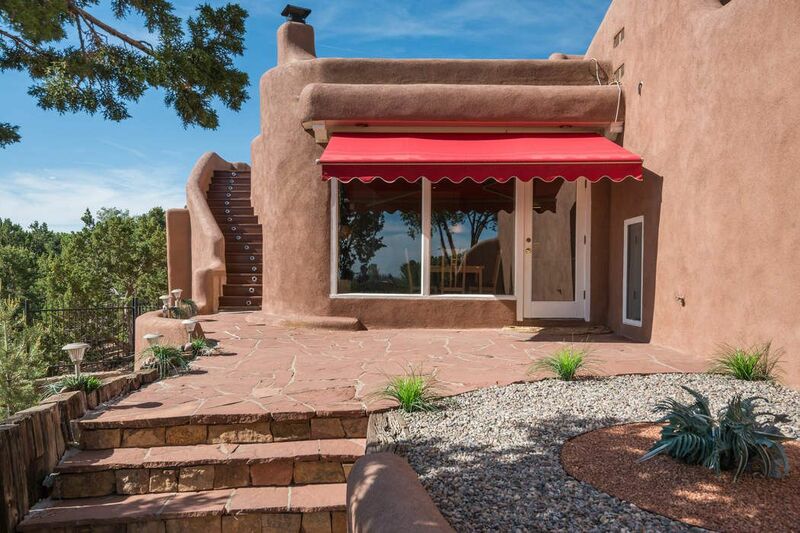 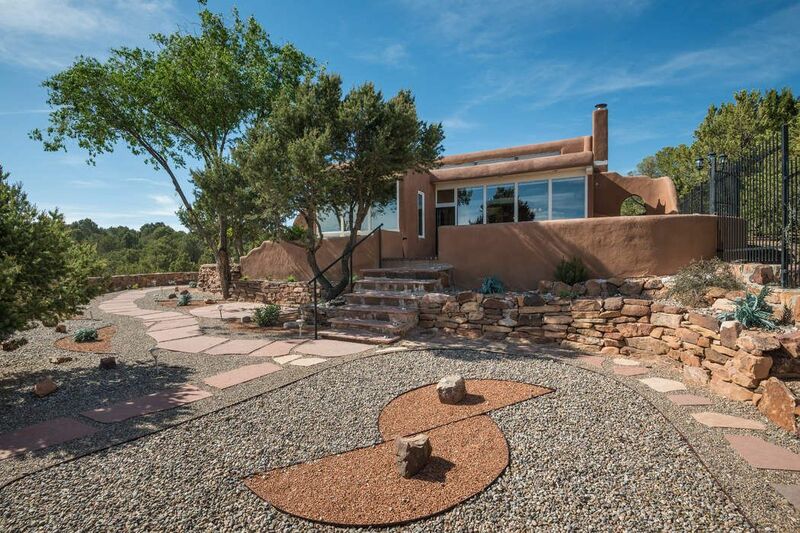 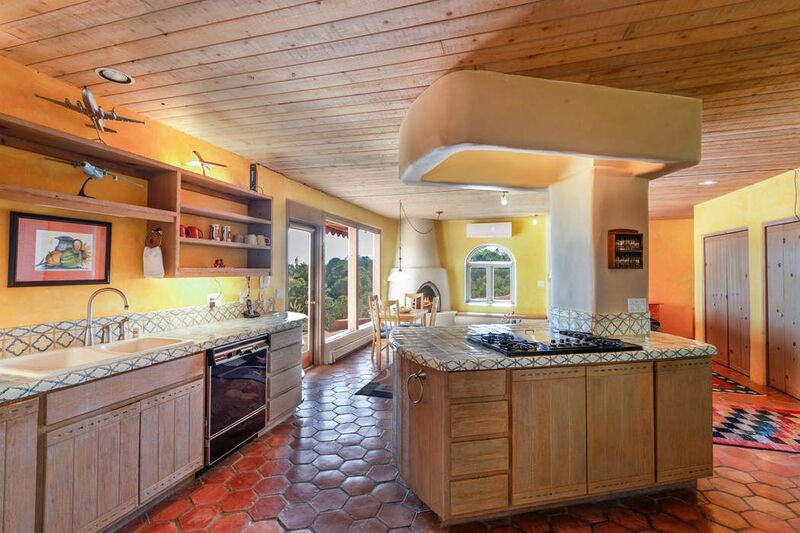 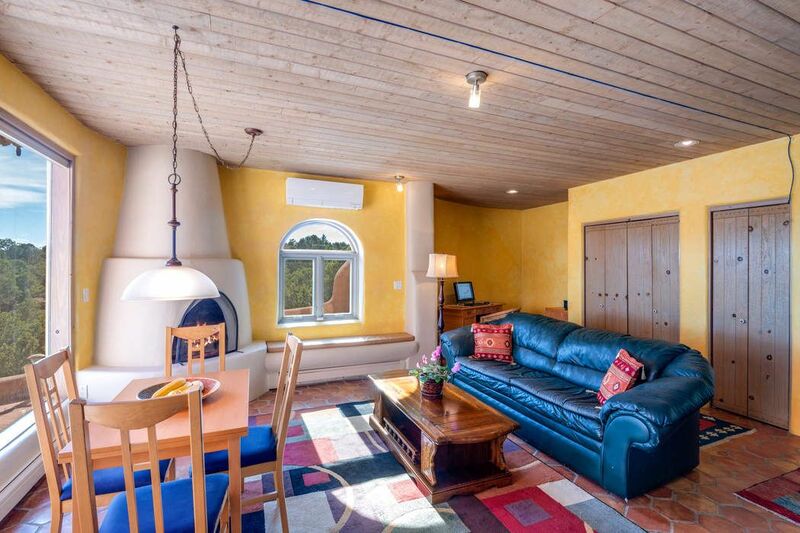 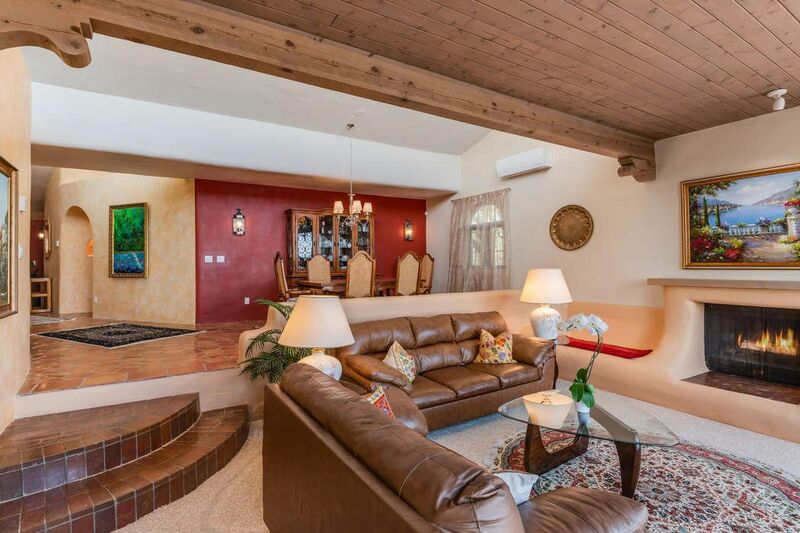 Caddy corner to the Governor’s Mansion, this classic Santa Fe style mini-estate enjoys sweeping views from the Sangres to the city lights, 2 master suites, a cozy office, great room kitchen, easy care landscaping and great entertaining inside and out! 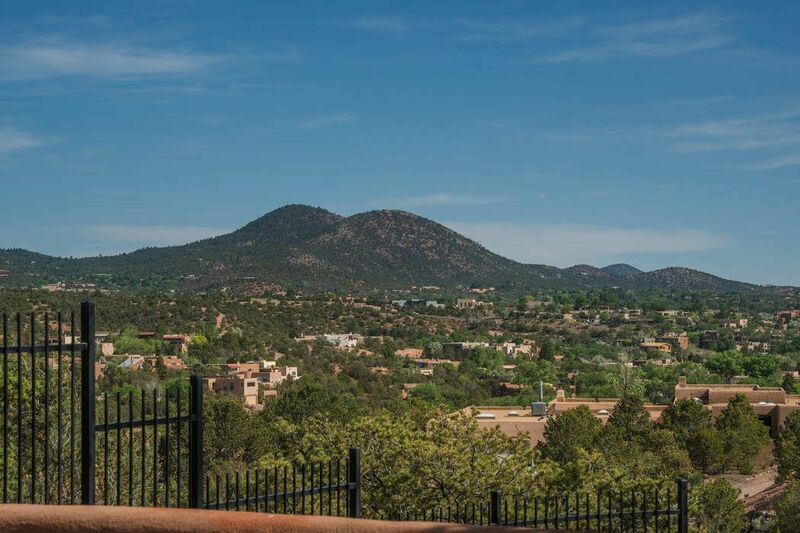 And it's a quick stroll to the Plaza.